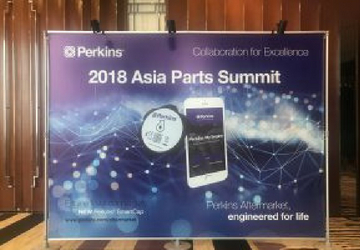 Perkins Pacific’s tremendous performance in the aftersales market garnered global attention when Perkins recently invited Kelly Grencer to its Asia Summit, held in Suzhou, China. Kelly was asked to share PPI’s successful plan and showcase how it aligns with a massive strategy Perkins has launched for aftersales growth. Technical support and training – creating an enhanced tracking and measurement system, providing technical engineers to ensure on-demand support and helping dealers stay current on training requirements. Warranty management – improving tracking and reporting methods, improving claim processing and scheduling regular audits of warranty activity. Business development – sharpening inventory management, dealer agreements and dealer scorecard, instituting factory promotions and performance measurements, and developing custom marketing campaigns. PPI’s customers have achieved immediate results from the tools provided by PPI.